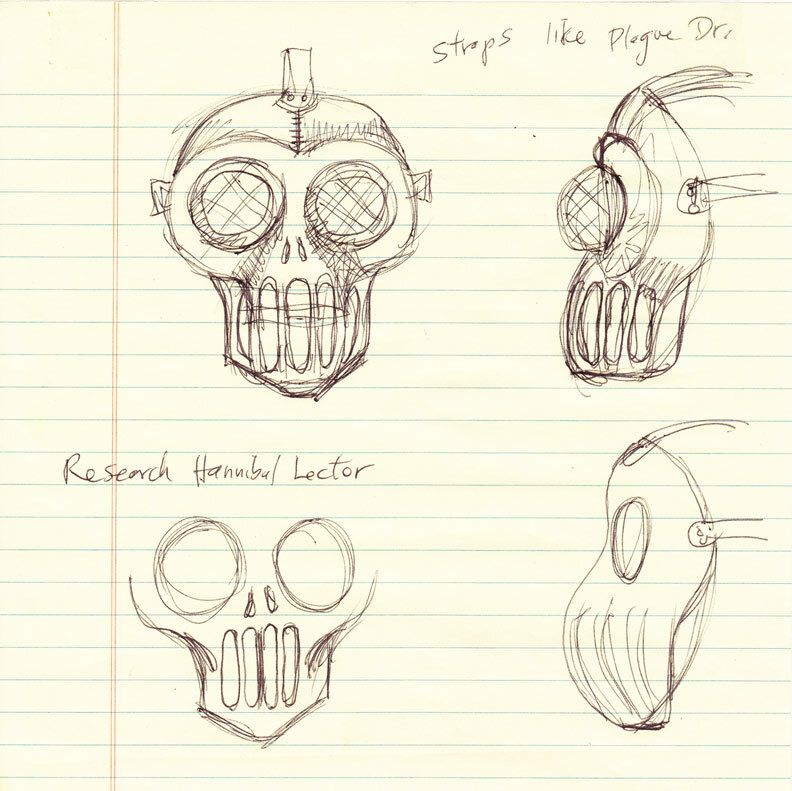 I had the idea of making a mask that would be reminiscent of a human skull. Below is my first sketch. 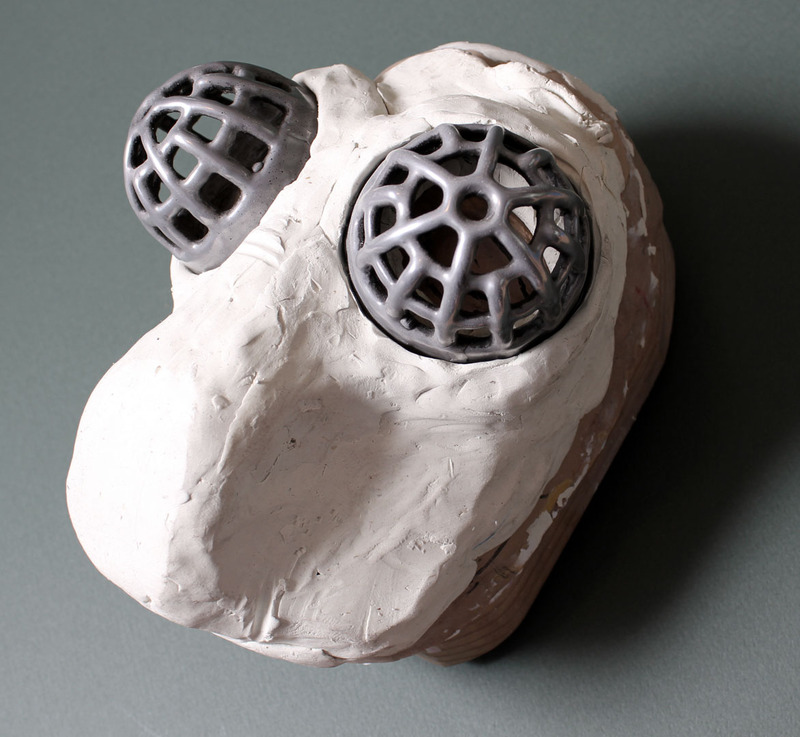 I had already made up some eyecages, similar to the ones used in the Ragnarok mask, only larger, and I decided to use them for this mask. I wasn't sure at this point how I would make the teeth, but I was thinking of fabricating the part out of acrylic sheet and then casting it in cold cast aluminum, to match the eyecages. After further consideration, I decided to look through my many boxes of yard sales finds, in the hopes of encountering a part already made that could be adapted to the teeth. 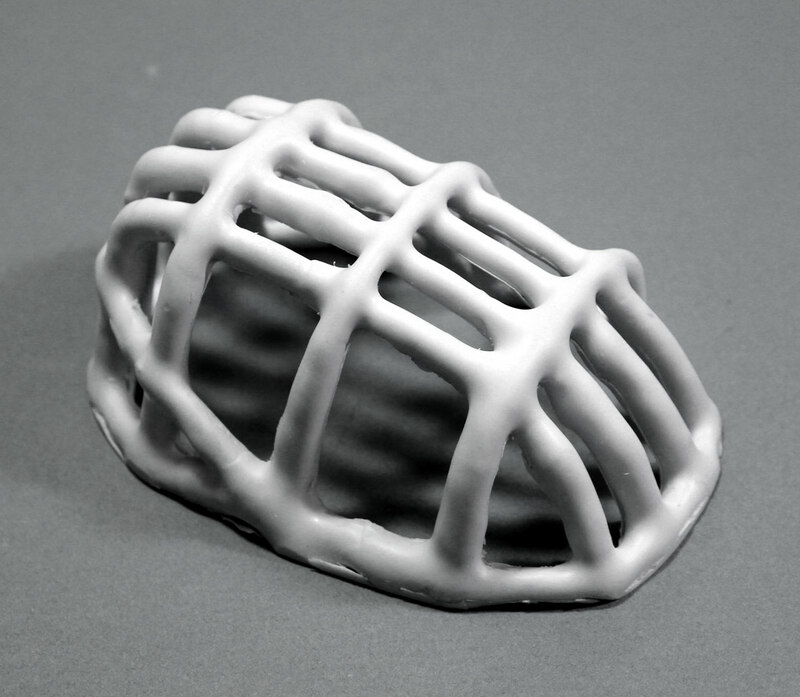 When I came across the dog muzzle I realized I could dip it in wax to thicken up the wires, and give it a similar look to the eyecages. 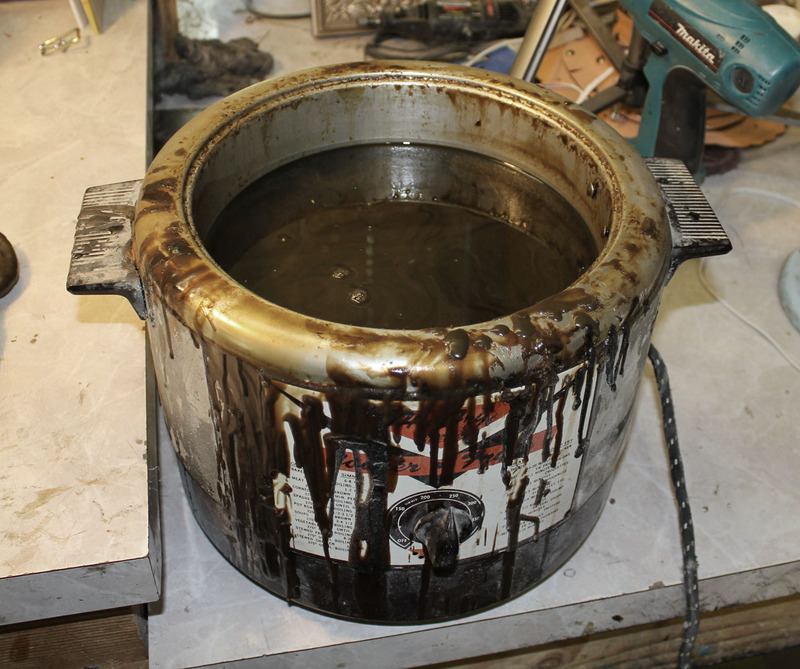 I heated the wax to around 220° F and dipped the wire muzzle into the molten wax, and let it cool down. Dipping it two more times gave it a nice thickness. 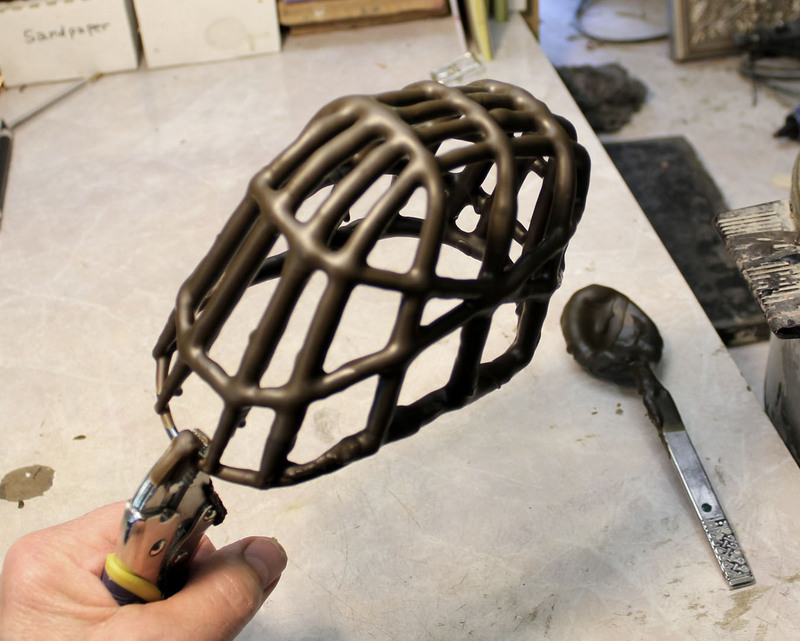 After molding it in silicone RTV rubber, I cast just the top part of the muzzle in urethane resin. 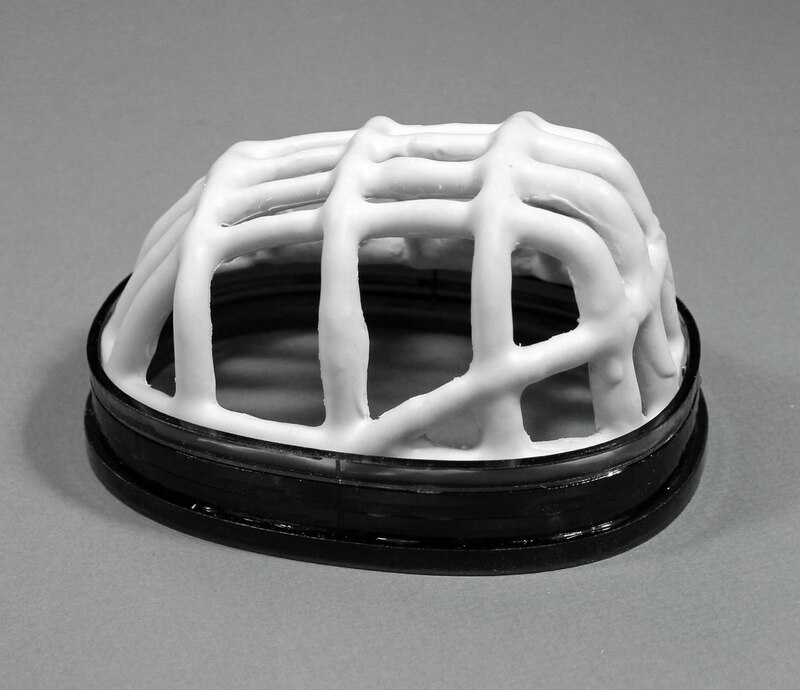 Then I scanned the bottom of the casting, and laser cut several pieces of sheet acrylic to match. I used epoxy to stick all the pieces together, and filled in the hollows with modeling clay. 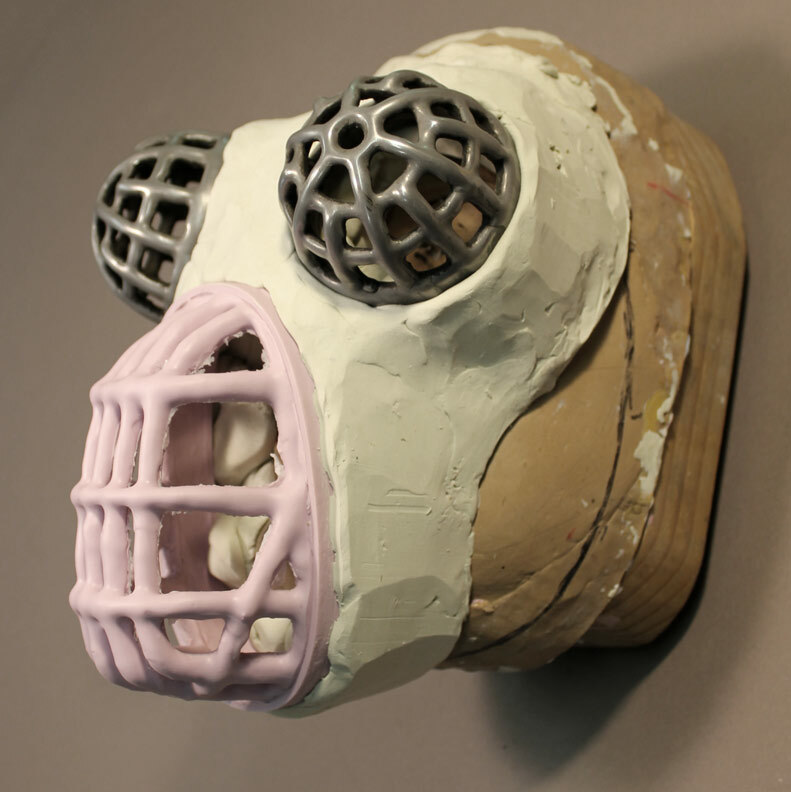 I remolded the muzzle, and cast the finished part in a pink urethane resin, suitable for sculpting the final clay shape. 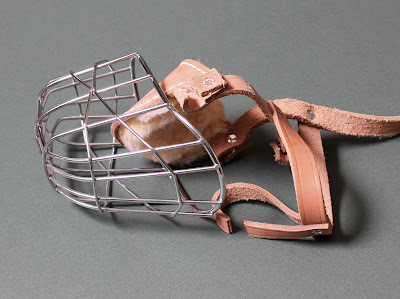 Once I am satisfied with the shape of the clay I will take a pattern from it and then make the mask out of leather. It bears little resemblance to a skull now, but I am liking the look and am tentatively calling it "Uncle Charlie". Cool! Love it.. can't wait to see the finished piece! Uncle Charlie is looking grand. Love the use of the dog muzzle. 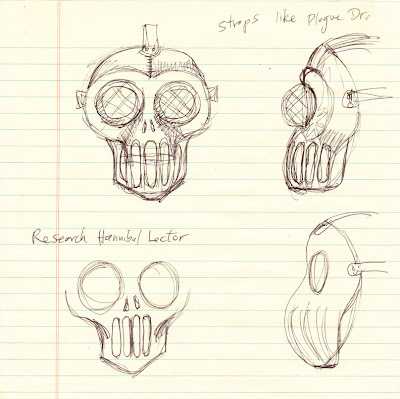 A dog-faced Anubis mask in the works, maybe?